Meghan Markle’s royal wardrobe is sure to be what princess dreams are made of! As we prepare for the biggest event of the year (the Royal wedding, of course), I’m starting to fantasize about what the future heir to the thrown’s closet will be like, as she transitions from American actress to British aristocracy. How much room will Meghan have for all her fabulous designer duds from brands like Altuzarra, Emilia Wickstead, Smythe, Stella McCartney, Self Portrait? How many Manolos will she be able to house? Will she have a dedicated display for her tiaras? The possibilities are endless! 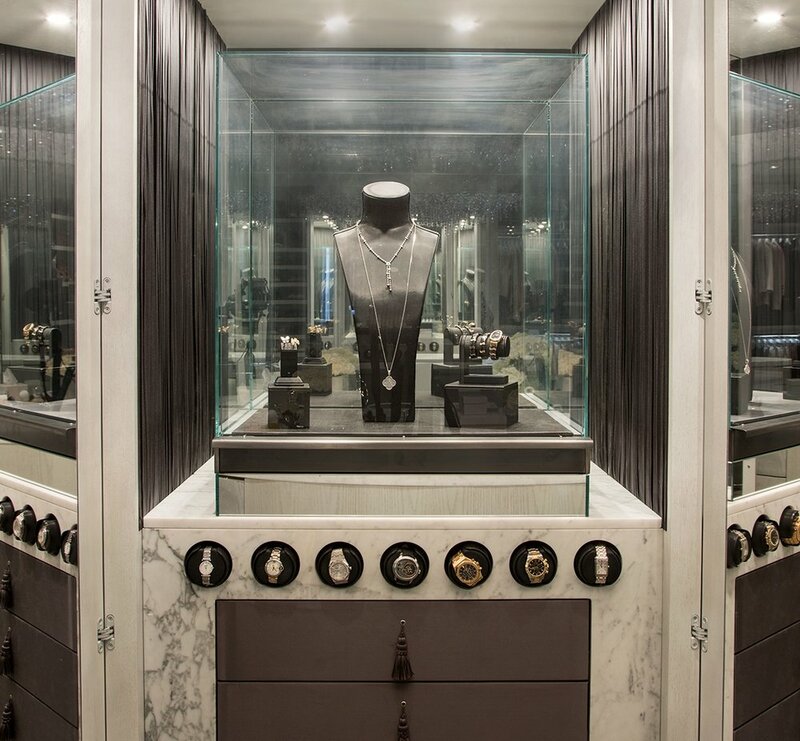 Over the years, I’ve had an opportunity to create some pretty over-the-top features and amenities within closets. And, while they weren’t for royalty, many would certainly be fit for a queen. 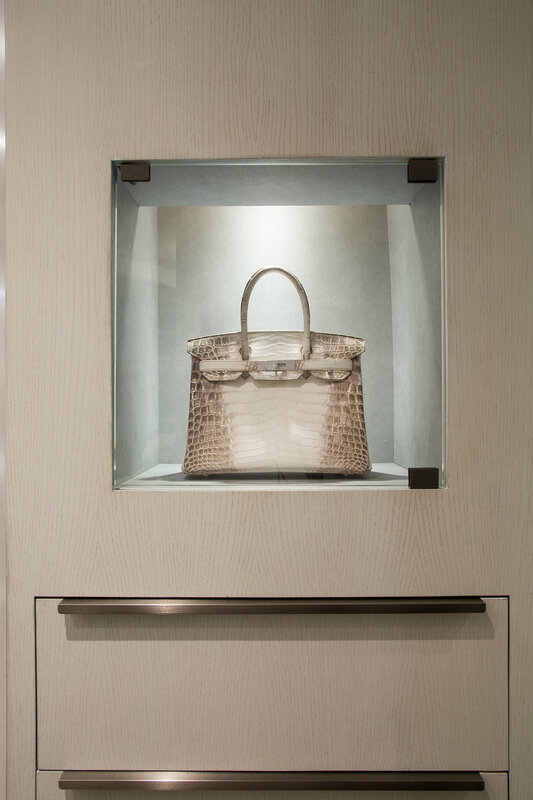 From biometric locks to a temperature-controlled fur cabinet to a cosmetic refrigerator to a glass display for an Hermes Himalayan handbag, I’ve helped clients display their own crown jewels. Meghan found the prince of her dreams and I hope she gets the dressing room of her dreams, too!